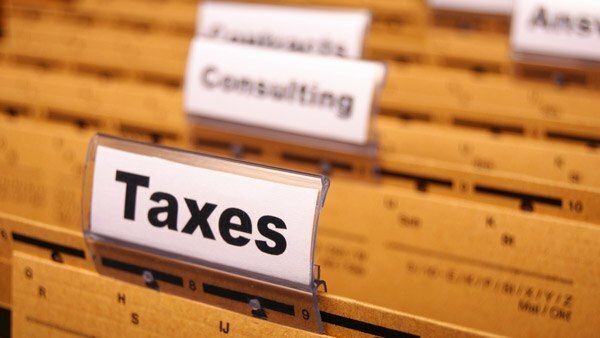 While it's the usual time of year for tax talk, this season is anything but usual for many financial advisors. 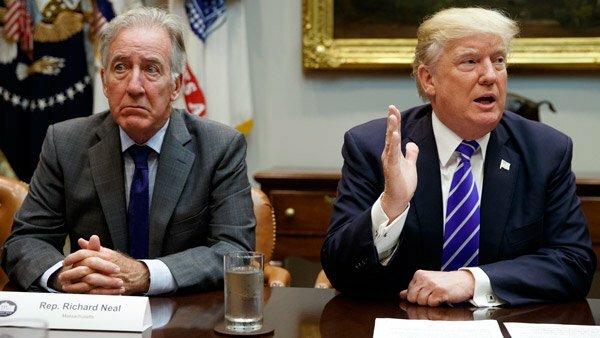 The huge tax reform law and the 35-day government shutdown have shaken the rafters for planners and clients alike. 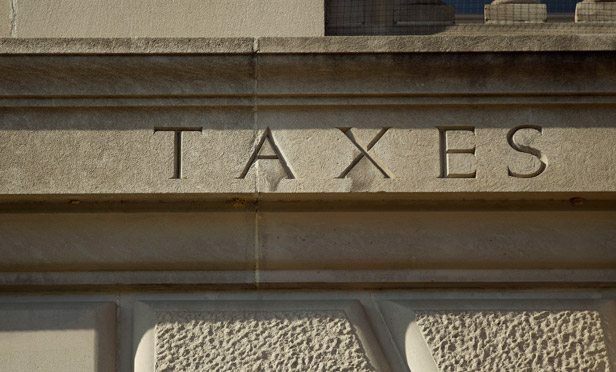 ThinkAdvisor will provide content that answers questions and provides tips from industry experts through tax deadline. Wicked stepmothers are the stuff of Grimm’s fairy tales. Widowed stepmothers are the root of real-life inheritance wars. 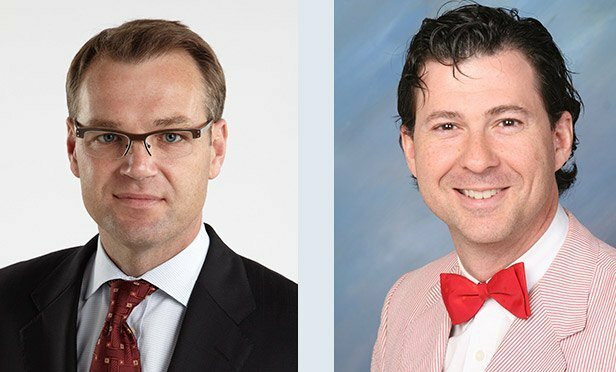 In fact, Alzheimer’s, widowed stepmothers and estate crime are the three biggest causes of inheritance messes, as veteran estate and trust attorney Michael Hackard tells ThinkAdvisor in an interview. 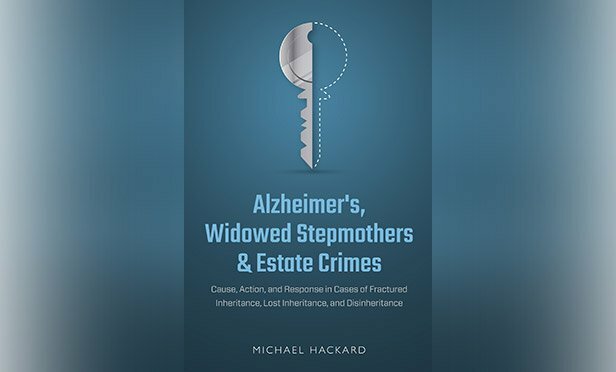 Financial advisors can play an important role in helping to sort out or even prevent these bitter feuds, says the founder of Hackard Law, whose new book is sweepingly titled “Alzheimer’s, Widowed Stepmothers & Estate Crimes: Cause, Action, and Response in Cases of Fractured Inheritance, Lost Inheritance, and Disinheritance” (Hackard Global Media, March 1, 2019). Mostly, FAs should be on high alert for red flags, such as signs of client dementia, questionable asset transfers and sudden changes in risk profile. “Family estate fights can truly feel like civil war,” writes Hackard, who in the book and our interview, peers into the nasty battles of showbiz legends such as Tony Curtis, Mickey Rooney and Jerry Lee Lewis. For example, Lewis’ seventh wife and third wife’s daughter have been slugging it out in court for almost two years now. Wife 7 claims that her stepdaughter financially and physically abused the famed rock singer, 83; the daughter countersued, charging her stepmother with drugging Lewis into incoherency. This month Lewis’ health took a bad blow when he suffered a stroke. All upcoming shows are canceled, and he was just admitted to a rehab facility. In the interview, Hackard comments on what could come regarding his financial affairs in the not-too-distant future. 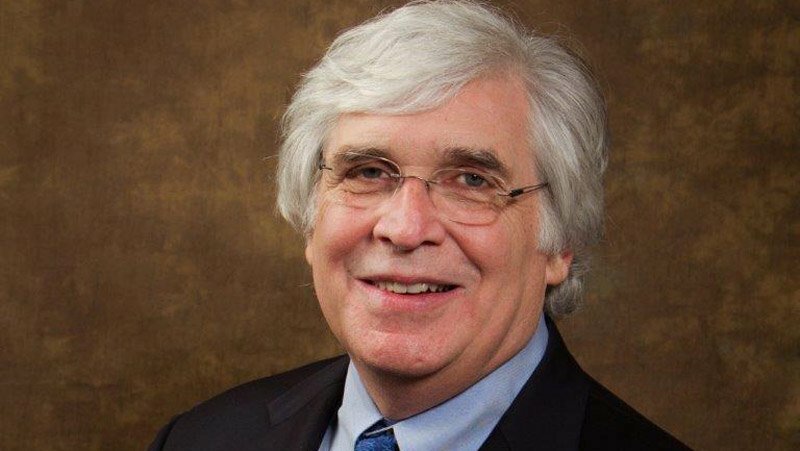 ThinkAdvisor recently interviewed Hackard, on the phone from his office near Sacramento. The author of “Wolf at the Door” (2017), about undue influence and abuse of older people, discussed with us crooked conservators, cognitively impaired clients, disinherited children, and stepmoms freezing out their husbands’ kids from an earlier marriage, while changing Dad’s estate plan to their benefit. 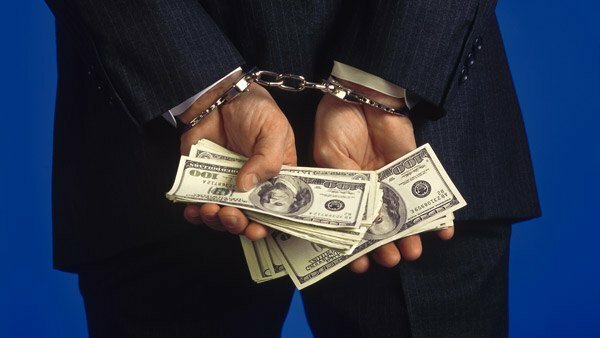 THINKADVISOR: You write that the three main causes of “inheritances gone awry” are Alzheimer’s, widowed stepmothers and estate crimes. How can financial advisors try to prevent fractured inheritance? MICHAEL HACKARD: Pay attention. The striking statistics are that over the next 20 or 30 years, $30 trillion of baby boomer assets are going to be transferred. More people are getting older, so the incidence of cognitive-related disease is higher. Advisors need to get smart about that because the more attention you pay to it the better off you and your clients will be. What exactly is an “estate crime”? The unauthorized, unlawful taking of someone’s assets while they’re alive. You can see that where property has been transferred prior to a death; for example, a personal representative — such as a trustee — suppresses assets and takes them for himself or herself. You can see it when people, particularly entrepreneurs or recent immigrants, have a lot of cash in a safe — maybe as much as half-a-million dollars — but that money almost always is gone at their death. These experiences are common. So if someone’s keeping a lot of cash around, they should have proof of it and give that documentation to a person they trust. You write about high-profile celebrities whose estates have been subject to family fights and litigation. For example, rock ‘n‘ roll legend Jerry Lee Lewis, 83, is reportedly a victim of financial abuse. His seventh wife and third wife’s daughter are battling it out. Following a stroke on March 1, he resides in a rehab center. What will happen with that litigation at his death? It seems like he’s cognitively impaired, and it gets down to: While cognitively impaired, what was he doing with his assets, and what influence was being exerted upon him for those assets? [Attorneys] would be looking for any transfers that occurred prior to the time he [will have died] and questioning whether they might have been a result of undue influence or undue pressure on him. They would also be looking at all his estate-planning documents, particularly later changes, those closer to his death or when his health was identified as being very precarious. They’ll be looking for medical records and doctors’ reports. About asset transfers, would lawyers speak with Mr. Lewis’ financial advisor? Absolutely. 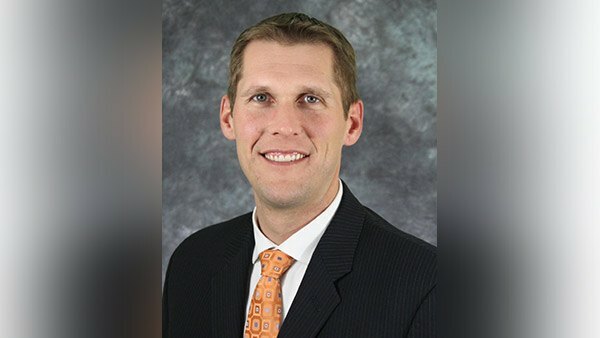 Financial advisors are great resources, especially now that the law has given them a little more power with regard to financial exploitation: FINRA Rule  allows them to seek out a trusted contact person for the client’s account, and Rule  allows them to put a temporary hold on disbursements. Do you know of an example? I had a litigation just resolved concerning a transfer of $5 million to a caregiver. We contacted the financial advisor and asked that they put a stay on funds. We followed up with a court order. It all worked [out]. Hollywood star Mickey Rooney, a victim of financial abuse, reportedly died with $18,000 to his name. Lawsuits claimed that his caregiver and stepson abused him physically and financially. Ultimately, a conservator took over his finances. How should an FA deal effectively with a client’s conservator? If the conservator is good, there’s an annual accounting they might present to the local court. A conservatorship, or guardianship, as some states call it, can be the saving grace for someone if they’re losing everything and get a strong, honest, ethical conservator who’ll look out for them. What could happen if it turns out the conservator is dishonest? There have been cases where a conservator and an attorney have basically looted the conservatorship accounts. I had a case like that in which the other side was getting, like, $59,000 for one day’s mediation. Well, that money wasn’t coming out of the air. It was coming out of some poor old guy’s conservatorship account. So that situation can be very abusive. Actor Tony Curtis, a year before he died, wrote a new will and redid his trust. This disinherited his five surviving children and left his entire $46 million estate to his sixth wife. The children — including actress Jamie Lee Curtis — filed suit alleging that their father was mentally impaired, but the case was dropped. What can an FA do if he or she suspects that a client plans to disinherit? Any time a disinheritance is going on, justified or unjustified, it’s an invitation to a dispute. Reasonable inquires to the client would be: “If you’re disinheriting people, they often want to challenge your estate. Have you thought about that? Have you talked to your lawyer about this?” In the case of Curtis, it’s possible that his children’s suit was settled confidentially. What should advisors be aware of if a client is actually proceeding to disinherit an heir or change their estate plan? When an elder wants to put other people on his or her account, sometimes it’s very logical; other times it’s questionable and ought to be looked at. It’s one thing to put your spouse on the account; it’s another to put someone who appears to be a stranger on it. Advisors need to take the time to talk to their customer about that. Know your customer. If they’re a longtime customer, you’ve probably seen how they approach their investing and what kind of risk they normally take. If you see some fairly dramatic changes in their risk profile — usually going toward more risk — those are signs. Four days before Alan Thicke, the actor and talk show host, wed his third wife, he required her to sign a pre-nup agreement. After his sudden death, his sons by previous marriages, fearing their stepmother would seize control of the estate, filed suit. But the judge ruled there was no evidence that she would challenge the pre-nup. This goes with the idea of know as much as you possibly can about your client. Some things are red flags. Half the country is on a second marriage, and there’s a much greater likelihood of estate challenges in second marriages. When someone has a substantial amount of liquid assets, that’s certainly a target of disinherited children. Why are stepmothers at the center of so many inheritance disputes? The longer the marriage, the more the law and the facts are going to favor the stepmother. If the second marriage is, say 35 years old, and the stepmother gets everything, well, in a way, that’s hardly a surprise. Where you see the egregious cases is when some guy 80 years old gets married; and a year before his death, suddenly all his estate [plans] have changed. When disc jockey Casey Kasem was suffering from Parkinson’s, dementia and other serious medical problems, his second wife and adult children from his first marriage got embroiled in a hateful battle over his care and the children’s wishes to visit him. After Kasem’s death in 2014, the family filed other lawsuits concerning his estate. The case has yet to be resolved. That’s the thing about litigation: You’re getting two sides. Kasem had top lawyers to assist him, but it all ends up being a kind of free-for-all and a “he said/she said.” Of course, the bigger the estate, the greater the invitation to get into something like this. How common is it for a stepmother to restrict her husband’s children of a prior marriage from visiting their sick father? My experience is that it’s more common because I get the bad cases! Statistics say that of the 11 million stepmothers [in the U.S.], only about 20% of stepchildren — stepdaughters in particular — have affection for their stepmother and get along with her. What have you found in your own practice? What I’ve seen quite a lot are biological children of a first marriage frozen out during the last days or months or years of a father’s life — and during that time, changes in the estate plan favoring the stepmother and/or maybe her own biological children. In the case of late actor and senator Fred Thompson, his sons from a first marriage sued their stepmother, who had been named primary beneficiary of his estate. They claimed they were being deprived of their rightful share. However, they later dismissed the suit, stating that discovery docs substantiated their stepmom’s claim that she was sticking to Thompson’s wishes. What did the suit allege? The sons were arguing undue influence. Challengers have a very hard uphill battle trying to overturn a trust or will just on the basis of undue influence or lack of [cognitive] capacity because there’s a higher standard of proof required: the clear convincing evidence standard of proof. I prefer to do elder financial abuse challenges, which aren’t directly tied to overturning a will but to making a wrongdoer responsible. The American Bar Association calls elder abuse “the crime of the 21st century.” Why has it grown so? A good part of it is the numbers: We have about 40 million people 65 and above and if you include baby boomers who aren’t 65 yet, there are even more [seniors]. The other thing is that we’re all living longer and are therefore more susceptible to cognitive impairment. Alzheimer’s is said to be growing at around 500,000 [cases] a year. You write that just because someone has Alzheimer’s “there’s no such thing as a slam-dunk case.” Why is that? You still have to test it and say: Was there undue influence, and did the person lack cognitive ability? Sometimes it’s really clear: People can no longer even write their name. Other times it’s not so clear because one of the things about Alzheimer’s is the lack of awareness that you have it, which is called anosognosia. Billionaire tobacco heiress Doris Duke appointed her butler, who allegedly was financially abusing her, executor of her estate. After she died, he gave up control and settled the case by taking a payout. Can an advisor step in if they suspect something fishy going on with a client? Financial exploitation is [first noted by] a kind of smell test. If an advisor sees a lot of money flowing out when there’s a conservator, they could certainly question: Where’s the money going? If they find the conservator’s fees and attorney’s fees running $25,000 a month — which could be small compared to some — they should ask about that because they have the right. Prince, Sonny Bono, Amy Winehouse and even Abraham Lincoln died intestate. Why do you think people chose not to make out a will? Part of it is trying to avoid thinking about death or else [procrastinating]: Someday I’ll do a will. What often happens with intestate cases is that a neighbor says, “We were really close friends, and old Joe always told me I was getting his house.” Well, old Joe dies, and there’s no will — and the neighbor isn’t getting the house. Or you see it when Grandma says to her granddaughter: “You’re my favorite. You’re going to get the ranch.” But when Grandma dies, the only son — who maybe has been estranged for twenty years — gets the ranch. That creates other issues. Intestacy is just a matter of blood relations.